Retrieval of necessary information often requires more than just viewing of the video. For instance, multiple cameras can record the same event. If recordings are reproduced one after the other, it’s hard to match details. It’s much easier to accomplish this by analyzing all recordings simultaneously. But, first, recordings need to synchronized. Synchronized recordings can simultaneously reproduce the same events. This process allows to view events from different angles and capture critical details. Expert involvement is also critical when video is damaged, such as dash cam damage during automobile accident. For instance, sash cam captured the entire incident while the camera was functional, and the data remains on the memory card. The last recorded video that captured an impact cannot be reproduced using regular tools. In this case, experts can compile small fragments of video data in the right sequence. The video that was captured seconds before the impact can then be presented during court proceedings. 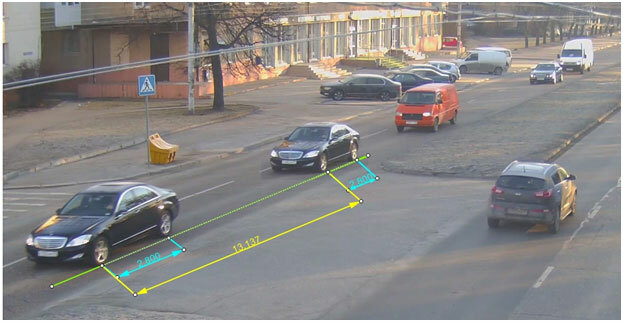 Taking all these factors into consideration, it’s not guaranteed that a video can clearly capture car license plate or criminal’s face.Camera’s characteristics, such as frame dimensions 360X250 also impact quality. One of video forensic expert’s main responsibilities is the determination of video’s authenticity and indentifying any video tampering. Video editors, even easily attainable MoveMaker, allow the deletion of video fragments or sequence editing. In this case, the resulting edited video does not capture real events. Thus, before using video evidence, it’s important to examine whether it was edited or not. An image can demonstrate a distance between two objects. A video can also determine time between the events. When distance and time are known, speed can easily be calculated. Cases that involve the determination of guilt after vehicular accident often require calculaltion of speed. Accumulated forensic expertise and video forensic methodologies allow to determine the speed under different conditons. It doesn’t matter if the video recording took place during the day or at night, up close or from a distance, whether the camera was moving fast or remained still. In any of these cases and under any of these conditions, the vehicle’s speed can usually be determined.